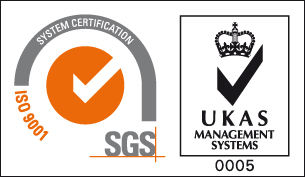 Speeding up work and improving health and safety don’t often go hand in hand, but a simple yet ingenious device can help fork lift operators do exactly that. Crushed fingers and feet, pulled backs, chemical spillages, these are just some of the hazards employees face, working around large steel drums in the workplace. A drum handling forklift truck attachment makes the job much safer, but when it’s slid over the forks it’s usually fixed into place by T-bolts which the operator has to dismount to tighten. Under time pressure, a driver may decide to simply manoeuvre the unit onto the forks and not fasten the T-bolts, especially when they’re switching regularly between moving drums and pallets or crates. If the driver brakes suddenly or turns a sharp corner, there’s a danger that the whole unit and its load could slide off the forks. However, building on our tradition of innovation, we have developed a new, spring-loaded quick attach and release mechanism for its fork attachment drum handlers that remove this risk. A drum handling unit can be quickly and firmly attached, and then disengaged from the truck without the driver having to leave the seat. The unit will always be properly attached to the vehicle whenever it is used. It speeds up the handling of multiple loads. The driver stays safely in his or her seat and in full control of the fork truck. St Clare Engineering Ltd is a family business. 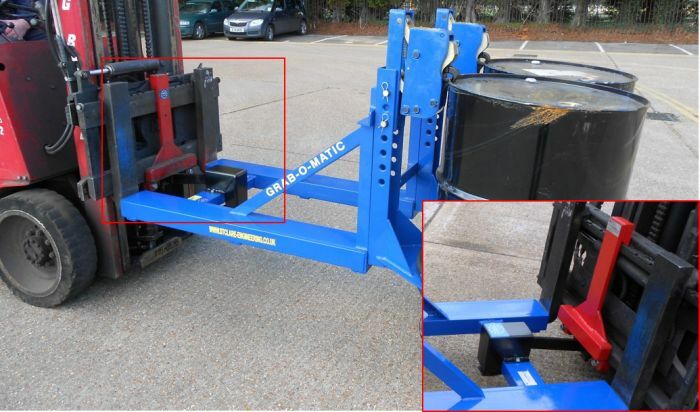 We have been manufacturing a range of specialist, high-quality fork lift truck drum attachments under the Grab-O-Matic trade name since 1958, to lift, move and tilt drums of various shape, size and weight.